Many of the boilers used in hydronic heating systems, regardless of fuel type are pressurised, typically to a pressure of around 12-15 PSI operating pressure in home systems. There are many technical reasons why it is good to do this which are beyond the scope of this article. While the pressures involved are relatively low, ANY pressure vessel is potentially dangerous, especially those involving hot water. In the early days of boiler history, they used to explode quite regularly and spectacularly, often with serious property damage, and / or loss of life. This led to the development of many organizations concerned with boiler safety, and several different safety standards addressing boiler design, construction, and testing. While mostly voluntary, some standards became quasi-legal requirements because of laws getting adopted that required boilers to meet them in order to be legally used. Because no sane manufacturer would want their product to blow up, with the attendant bad publicity, not to mention legal liability issues, modern pressurised boilers are all built to high standards for safety, and even if not officially certified to a given standard, are likely to meet or exceed it if subjected to the hardware testing portions. 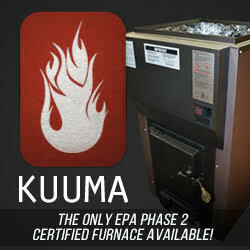 Today, particularly in the world of wood boilers, there are two major similar but competing "gold" standards. (American Society of Mechanical Engineers) ASME Section IV, “Rules for the Construction of Heating Boilers” in North America, and European Standard EN 303-5 “Heating Boilers - Part 5: Heating Boilers for Solid-fuels, Hand and Automatically Stoked, Nominal Heat Output of Up to 300 kW - Terminology, Requirements, Testing and Marking.” in the EU and most of the rest of the world. In addition to strict mechanical and construction standards, both have extensive requirements for documentation. In addition, there are also testing and certification programs in North America by groups such as Underwriters Laboratory (UL); Their Canadian counterpart, CSA; Warnock-Hersey Intertek (WHI); and Omni Test Labs (OTL). These organizations are more focussed on performance testing, and are not as difficult to obtain certification from as ASME or EN 303-5. Any boiler meeting the ASME or EN 303-5 standards can be reasonably certain of passing the test requirements of these other organizations. At this time, most US states only require one of the UL / CSA / WHI or OTL listings for a home installation. Many states require the more stringent ASME certification for commercial installations, and a few require ASME certification (also known as an "H stamp") for ALL boilers, regardless of where they are used. 1. Currently (to the best of this author's knowledge) there are only two US Manufacturers that offer ASME approved gasification boilers, Econoburn and Wood Gun. In both cases, the ASME certification is an expensive extra cost option, which is simply a case of the manufacturer passing on the additional cost of complying with the ASME standards such as having an official observer watch the construction of the boiler, among others. 2. Because of the nature of some ASME reqirements, it would be extremely difficult, (and expensive) if not impossible for a non-US manufacturer to build an ASME approved boiler. 3. Because the ASME and EN 303-5 standards are not identical, some bodies will not accept EN 303-5 as meeting their requirements for an ASME certification, effectively prohibiting the sale of EN 303-5 boilers, despite their meeting a comparable standard. Obviously this restricts consumer choice, and has a negative impact on the businesses of those who would like to sell EN 303-5 certified boilers. As one might expect, the companies that are importing the European made, EN 303-5 certified boilers find this an unacceptable practice, and are working at various levels to change it. Among these efforts, BioHeat USA, the importers of Tarm, Scandtec and Froeling boilers, had a document prepared that compares the ASME and EN 303-5 standards. It shows that in nearly all respects the two standards are comparable, with EN 303-5 actually being more stringent in some regards. This PDF file comparing the standards is interesting both because of the comparison, and in the way that by comparing the standards, it gives a good overview of what goes into making a modern gasification boiler.